We discovered a new farm stand off the main road just a few miles from our home in Kilauea. The local farmers here in Kauai supply this farm stand with all sorts of vegetables, fruits, tropical flowers and eggs. The stand is pretty and rustic at the same time. The owner, Setiva has painted the shed with too many colors. This is where we find what's in season and a great place to shop for local grown rambutans, egg fruit, chubby papaya's, avocado's, hands of bananas, golden pineapples, key limes and Meyers lemons. Everything is tree ripe, sweet and ready to eat. Today, what charmed me the most was a brown paper sack filled with thirteen multi -colored eggs of all sizes. I put the sack of eggs in my purse and headed home to make breakfast. Big brown eggs, a single tiny white egg and blue eggs. Move over Martha, Kauai has blue eggs too! I figured out how to make sunny side up eggs with runny yolks and firm whites after all these years. Put a knob of butter in a large non-stick skillet over a medium flame. When butter is melted, crack the eggs in the pan and turn up the heat. when you hear the butter sizzle, and when you see the edges of the egg start to firm up, turn off the flame. The eggs will look runny like in this picture. Don't worry, just let the eggs sit in the hot pan. The whites get firm and continue to cook while the yolks stay runny. Crack three eggs in a small bowl, with 3 tablespoons of grated cheese and 3tablespoons of diced tomatoes. Lightly mix everything together with a fork. Heat a small skillet with 1tablespoon of butter over a low flame, when butter melts and the pan is hot, add the egg mixture and let the eggs cook. Do not disturb them or try to flip the omelette. When the bottom of the omelette is well browned then gently flip the omelette in half and turn off the heat. Let it rest for a few minutes and serve. When we took the first sip of this martini we knew it was a winner! This is a great drink, its crisp, fresh and addictive, like most martinis. Green tea is full of antioxidants, so don’t feel bad if you have a few! Place water in a small pot, when boiling, add the sugar and green tea bags. Turn off the heat and steep for 5 minutes. Let cool. Put the rest of the ingredients in a cocktail shaker with the vodka, Cointreau or Triple Sec and some ice cubes. Shake well and strain into 2 Martini glasses. Garnish with an orange twist. With the long, hot days of summer quickly approaching it’s time to give the stove a rest, dust off the blender and wash down the grill. Just a few months ago, happiness was nesting indoors with the family and cooking comfort foods like stews and soups. When the weather heats up, I’d rather be baking on the beach than tooling around the kitchen. Summer gets me yearning for tall icy fruity cocktails, breakfast smoothies, zesty barbeque basting sauces and easy recipes using summer produce. The farm markets and produce stands on the islands are heaped with exotic fruits, vegetables and hardy herbs such as lemongrass, ginger, mint and basil. At home, our orchards and vegetable gardens are bursting with avocados, papaya, mangoes. The banana patch is loaded with multiple bunches of bananas enough to feed a few neighborhoods. I recently made Banana Ice Cream using just frozen chunks of bananas which I processed in a champion juicer. It was soft and creamy, like a banana mousse. I took it a step further and stuffed the Banana Ice Cream between fresh homemade Earl Grey Tea cookies. It was a yummy treat. Place bananas on a flat tray that will fit in your freezer compartment. Cover with saran wrap and freeze overnight or until frozen. Using a champion juicer, press the frozen bananas through the juicer, to extract a golden banana mousse ice cream. Serve immediately. Makes 4 cups. This cookie recipe was given to me by my good friend, Melinda. I love this cookie! It’s excellent, just sweet enough and really crispy. I triple the ingredients and store the dough in the fridge, ready for baking. They are especially yummy made into ice cream sandwiches using my Banana Ice Cream Recipe. Preheat oven to 350F. Grind sugar with tea in a coffee mill or blender until fine. Place butter in a medium bowl and whip with a hand mixer until softened. Add the vanilla and water and continue to beat for 1 minute. Add the ground sugar tea mixture and whip well to incorporate the sugar, about 3 minutes. Add flour, salt and baking soda and mix until it forms a smooth dough. Put cookie dough in a sheet of parchment paper or wax paper and roll into a long cylinder, twist the ends of the paper. Chill in refrigerator for 1 hour or overnight. Cut cookies into ¼ inch thick and press a halved almond in the center of each cookie, lightly sprinkle with Hawaiian Sea Salt and bake on a lightly buttered cookie sheet for about till slightly puffed, 7 minutes. Remove from oven, transfer cookies to a rack to cool. Take two earl gray butter cookies, place a scoop of ice cream between the two cookies. Gently press together and serve. Go to secretbeachhouse.com to view my Hawaiian retreat on the island of Kauai. This home is available for rent year round. 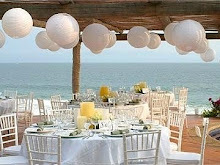 It is perfect for yoga retreats, family reunions, and romantic beach weddings. The house sleeps up to 18 guests. For more information and pictures click the Secret Beach House link listed above.